Greg Farrington, Executive Director of the California Academy of Sciences, recently visited the vast island of Madagascar with some of his team of researchers. He was kind enough to share some of his beautiful images of the extraordinary landscapes, plants, and people (and in a break from tradition, some animals too!) with Plant Talk. Madagascar is extraordinary for many reasons. Not only is it the fourth largest island on Earth but, despite its proximity to Africa, has been isolated from other major landmasses for more than 160 million years. This separation means life has taken a different track from the rest of the planet. 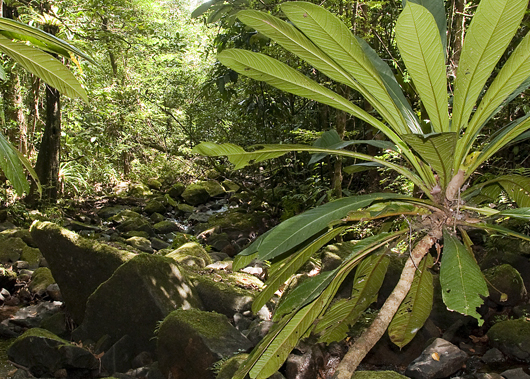 From dwarfs to giants, all of staggering beauty, the flora of Madagascar, currently thought to be 12-14,000 species, is estimated to run to 90% endemism. Despite being a playground for biologists Madagascar remains relatively poor, leaving it at the mercy of questionable natural resource management. Mineral extraction, deforestation, and land conversion have taken their toll on this unique country and its celebrated biodiversity. Masoala National Park in north east Madagascar. 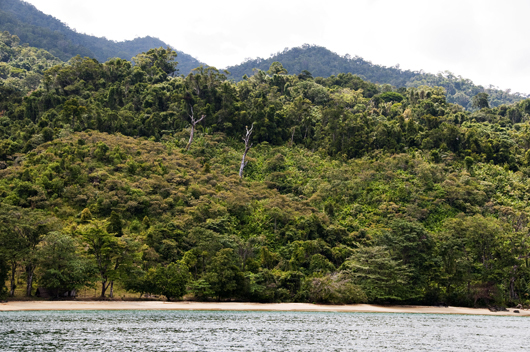 The largest of the island's protected areas the park includes both a large area of forest and also marine habitat. Designated a UNESCO World Heritage Site it remains one of the best places to see the endemic inhabitants of the island. This green day gecko is well camouflaged against the bright green of the forest leaves, but conspicuous against the grey bark of this tree. 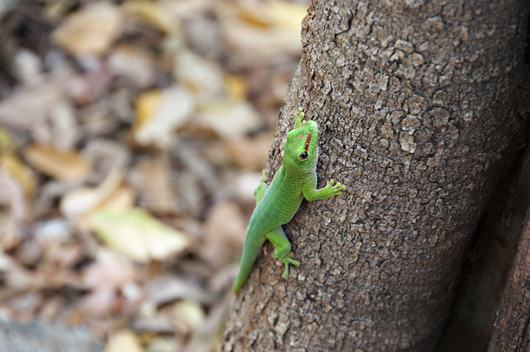 Approximately 90% of reptiles on the island are reckoned to be endemic. This figure is even higher for amphibians. Hibiscus tiliaceus is native to the shorelines across the Pacific and Indian Oceans it has now naturalised coastlines all over the world. The flowers open yellow and then rust to orange and red before falling. 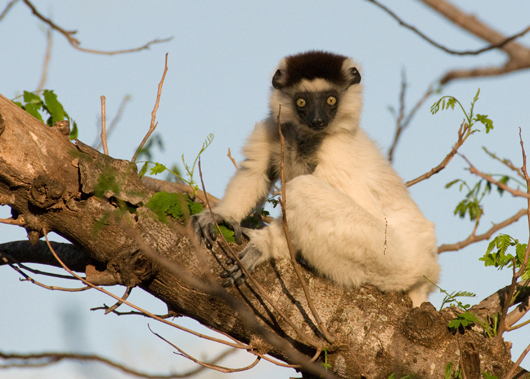 Madagascar has unparalleled primate diversity, which includes the famous lemurs (pictured is a ruffed lemur) and also the Aye-aye. 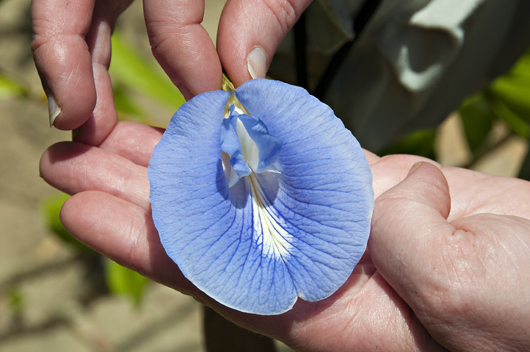 Clitoria ternatea - also known as the butterfly pea, this legume grows as a vine. 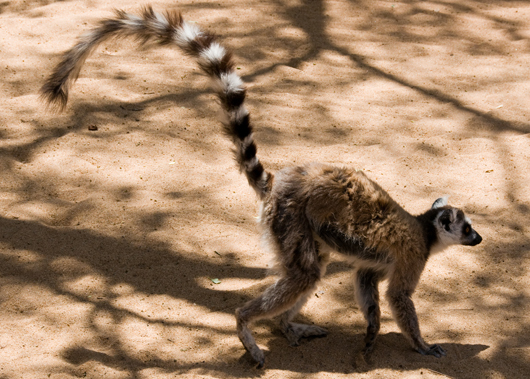 It's theorised that lemurs and their kin arrived on Madagascar by raft from continental Africa. Whereas their cousins that remained on the mainland were out-competed by more recent primates, the intrepid few that made the epic journey were free to evolve and fill ecological niches on the sanctuary of Madagascar. 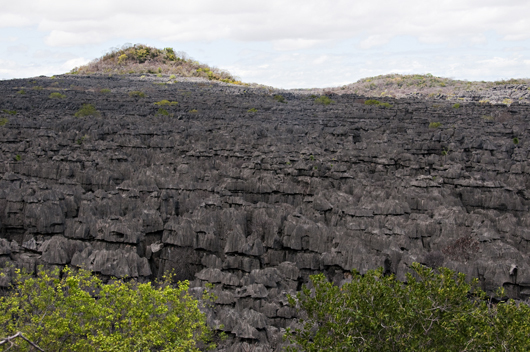 The Tsingy Massif is a spectacular karst limestone landscape. Designated a UNESCO World Heritage Site in 1990 it's an important stretch of land for mangrove forest conservation. Coffee, vanilla, sugar, rice, and bananas make up the some of Madagascar's main exports. 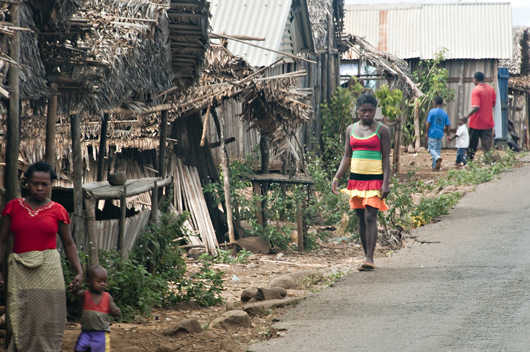 Despite this economic activity the vast majority of the population live in poverty. 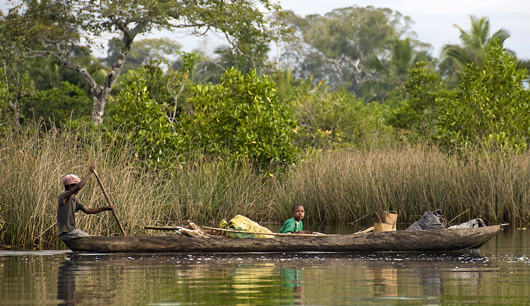 The rainforests of Madagascar are some of the most diverse on Earth and are mostly found in the east of country. Historically a battleground for conservation, the rainforests are suffering increasingly under the current political instability. It has been reported recently that exports of rosewood harvested from the national parks has been sanctioned by the interim president Andry Rajoelina. Madagascar remains one of the most enigmatic and beautiful countries. Under the shadow of political instability it is struggling to balance the demands of economic progress while protecting its rich natural resources. It continues to receive huge amounts of conservation funding, but political reform is a necessity in the immediate future. Explore more images and stories from Greg Farrington's expedition on his personal blog. 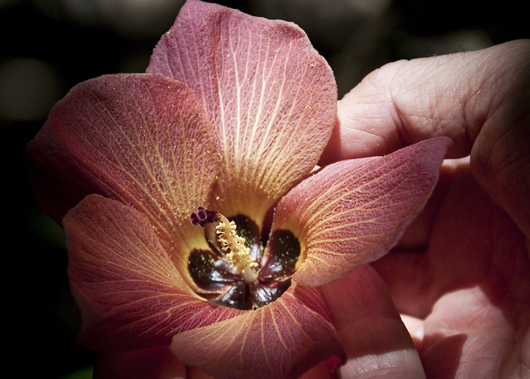 In March 2009 plant collectors from the UK and Chile set off to hunt for rare and endangered species with the vision of conserving these species for the future. Described by Raquel Nunez, of the World Rainforest Movement, as "beautiful" but "seemingly destined to suffer in life" the Atlantic Forest of Misiones in Argentina retains one of the largest fractions of this threatened ecosystem. Daniel Beltra's award winning photographs from the Amazon, Congo, and Indonesia show us the beauty and fragility of the world's rainforests. Liverpool based Landlife have been transforming landscapes that many other organisations wouldn't go near for many years. Last week we heard from Richard Scott but today just enjoy some pictures of their work, which has seen them enrich lives from Liverpool to China to Chernobyl. A few days ago Plant Talk reported from the Mau Forest in Kenya as the Kenyan Government, in partnership with UNEP, appealed for funds to help save their largest forest. These photos show exactly why that appeal was made: this is forest degradation on a huge scale, threatening not only the plants and animals but also the human inhabitants.